Halloween is tomorrow and wow, did it creep up! I've been in the spooky spirit all week long and my fashion choices certainly reflect that. This look gives off some major coven vibes. I'm in love with this crochet bell sleeve dress from T.J.Maxx. 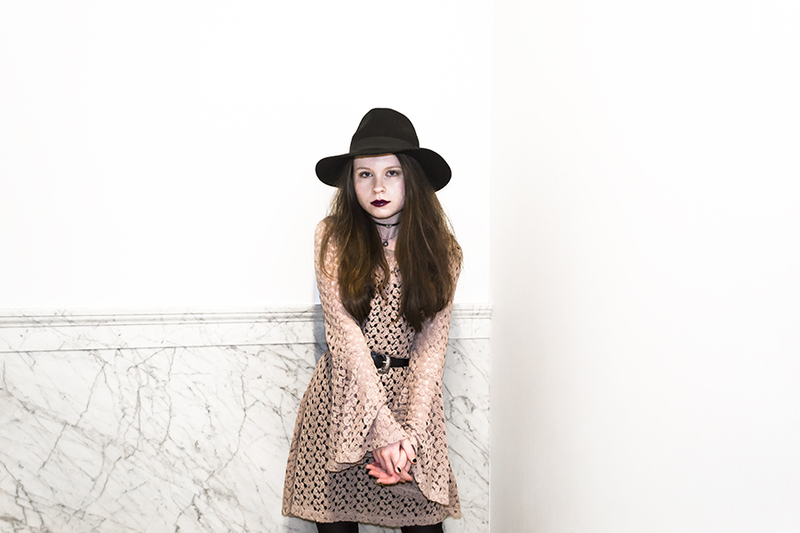 It's super witchy and boho, especially when paired with a western belt, black combat boots, and wide brim fedora. I added a gothic layered choker necklace to up the spooky factor. To complete the outfit, I couldn't forget a bold, dark lip in a vampy, deep berry shade. This one is "Quelle Surprise" by MAC. I am All Hallows' Eve ready! Happy Halloween, everyone! Welcome! 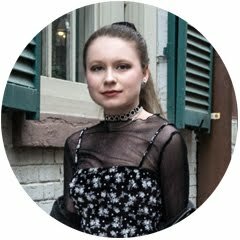 I'm Bitsy, a student and style blogger in Washington, D.C. Bits of Style is where I share my personal style, inspirations, musings, and world views. Each piece of clothing has its own personality, just like every one of us. Never stop wearing what speaks to you and makes you smile. Self-expression is always in style. 2013-2019 Bits of Style. Simple theme. Powered by Blogger.